We think she is just darling. Bob Engelhardt, einspänner, tknafox2 and 2 others like this. 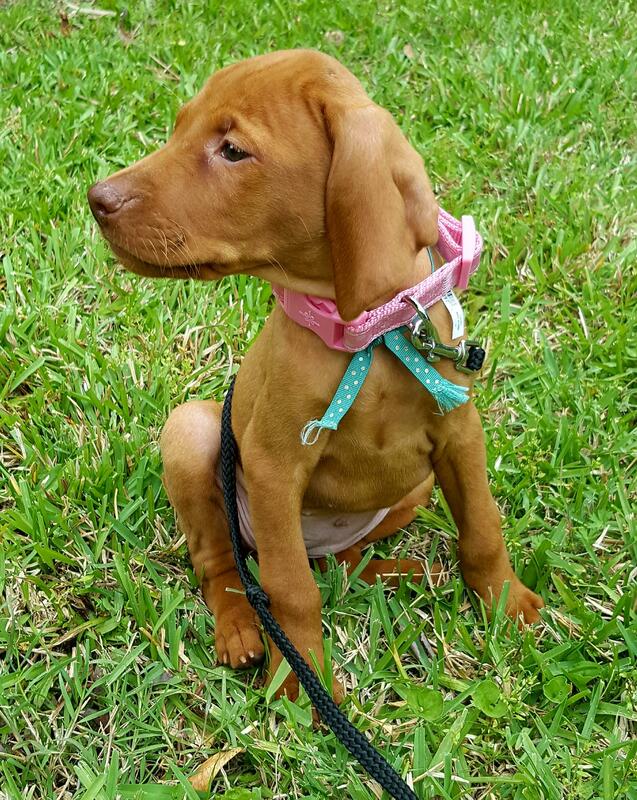 Welcome to the vizsladependent human society little beautiful Shine girl. texasred, tknafox2 and Betty like this. 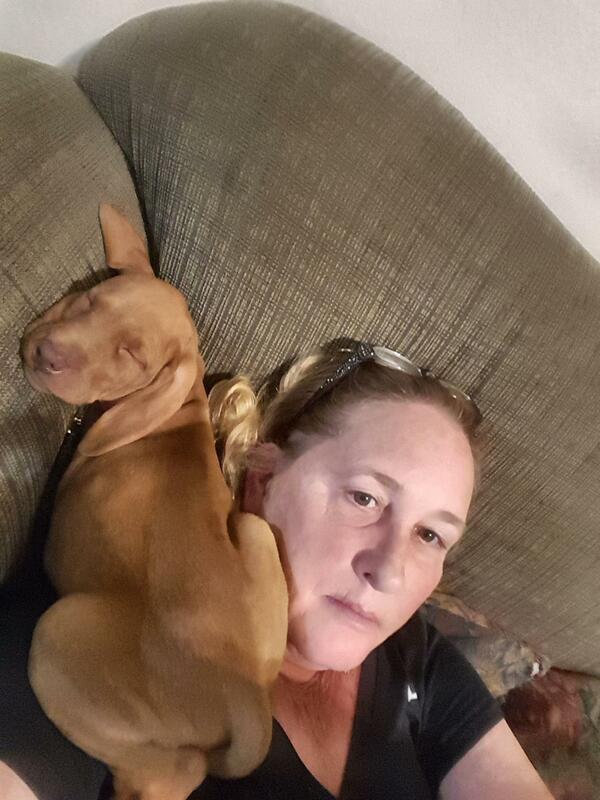 When my first vizsla was going away to training, I got a second one. Betty and Gabica like this. This was before I went to bed, and she went to her crate. einspänner, tknafox2, vdogdad and 1 others like this. Good for you, Deb! 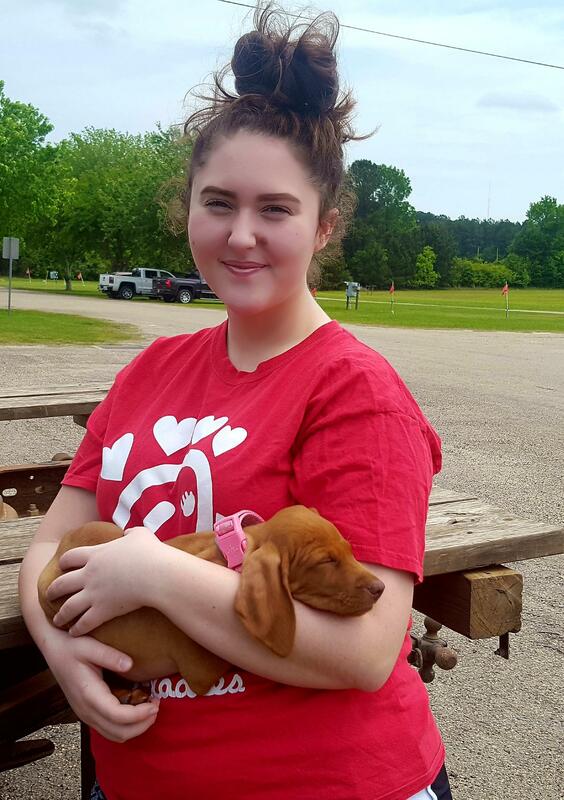 You deserve a puppy - both to make up for all the dog pain that you've had and to reward you for all the rescue work that you've done. How is Shine girly settling? 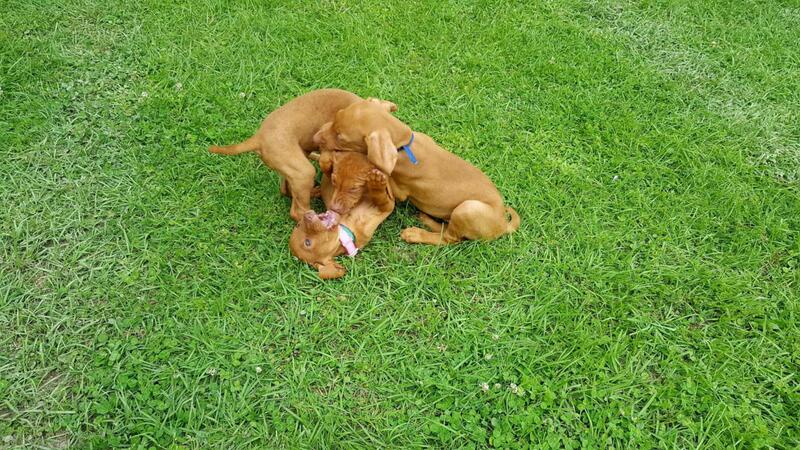 a vizsla breeder friend of mine just got pups and invited me to see them next weekend, yeah. i believe they are all spoken for, so it will be just for socialization and for my sanity to deal with Bende withdrawal. So far it's going well. 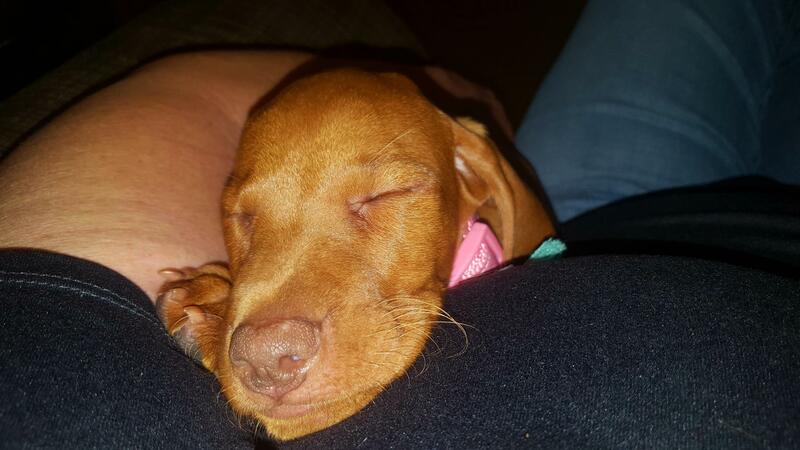 She sleeps about 6 hours in the crate at night, before she starts to howl. So 3am were outside to potty. She's a little more interested in playing, than just potty. Once I do get her to potty, she's back out like a light until around 7am. It's only been a couple of days, so the shark teeth haven't started. But we both know that's just a matter of time. She does have a set of lungs on her, before she settles in her crate. But so far, she gives up after 10-15 minutes. I give it a couple of weeks, to see her full personality. She was the pup the breeder was going to keep. She made sure I knew, if there was anything I didnt like about her, she would take her back. I don't forsee that happening. tknafox2 and Gabica like this. I have a question for those of you who have sent your pups off to training. Are sending them for basic obedience, or for hunting? Just curious.